The Book of Mistakes is not a book about business. It’s a book about living with purpose. We go through life focused on meeting the expectations of the outside world, without much thought about our own expectations. 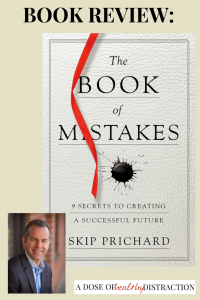 Skip Prichard uses storytelling to show the reader that success is the inevitable result of living a life of purpose.